There is no career more perfect for someone with the drive of an international athlete than real estate! Katrina’s no every-day-agent; she’s high energy, makes your property sale hassle free and many even say fun! 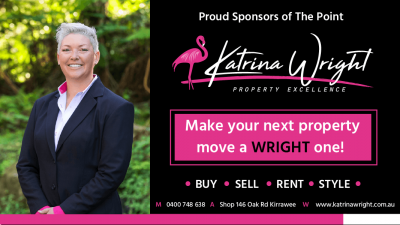 Eighteen years on the professional lawn bowls circuit prepared Katrina for the focus and hard work required to become not only a successful real estate agent but the principal of her own agency. Having represented Australia as a professional athlete, Katrina won’t settle for plain old ordinary. She’s not looking for a quick sale, but to be able to say to you, without a doubt, that she’s found the very best buyer and secured the very best price for you.